Have you tried those crazy laser helmets that promise a full head of hair? It’s so uncomfortable and painful and let’s be honest, is it safe, is it FDA approved? Introducing the LaserBand 82 by HairMax! This is a laser light hair growth device. It’s FDA cleared for both men and women. It’s clinically proven in seven studies. Safe and effective for hair loss and for thinning hair. There’s an average increase in hair – 129 new hairs per square inch in six months time. It’s the fastest hair loss treatment available and each treatment takes about 90 seconds and that’s just three days a week. I understand men deal with hair loss in different ways. Some shave it all off, some will go get a hair transplant. 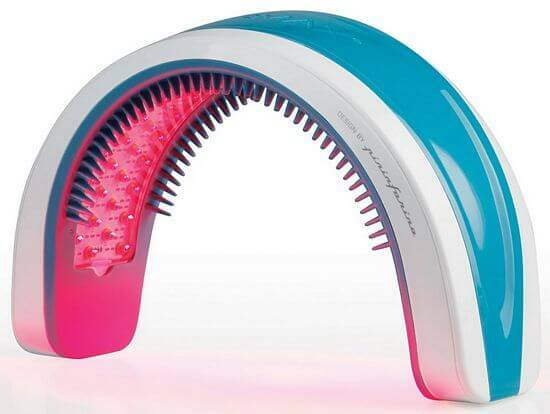 But there is better option – the LaserBand 82 by HairMax.